Year-round, New Hampshire and Maine provide an endless source of activities to keep you occupied on your days off. Whether you like venturing far from home or staying close by, the Seacoast puts you in the perfect location to switch up your weekend routines - just minutes from the salty air of the beach and just over an hour drive from the White Mountains. 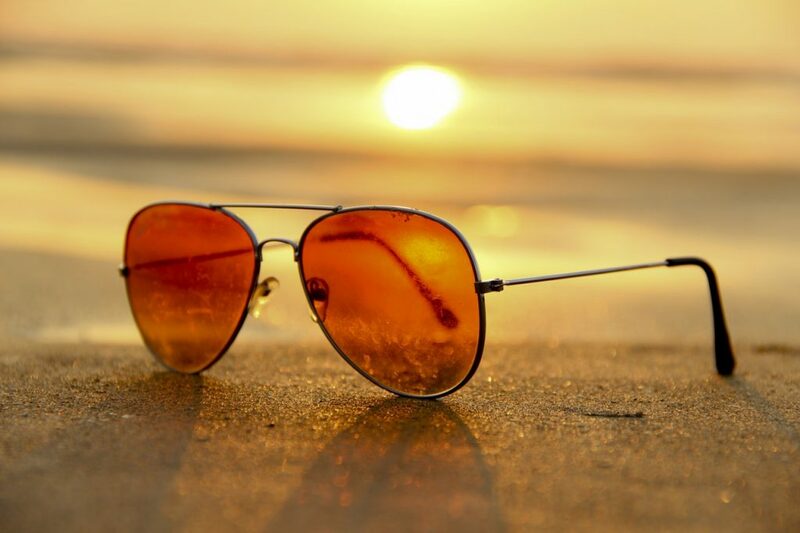 Whether you’re in the mood for a full fledged adventure or would rather kick your feet up to relax, we’ve created the ultimate summer bucket list of places you have to go! One of the best parts of the Seacoast is the easy access to the multitude of beaches that are offered. Precious miles of coastline offers its own slice of paradise, providing serenity, salty air, and an endless amount of lobster rolls. Below, we’ve listed some of the most popular beaches - each including unique activities of their own. If you’re in the mood to try something new at the beach, look into options such as kayaking and paddleboarding - or, for you adrenaline junkies, you can try surfing or parasailing! For those who prefer a busier beach with a boardwalk, Hampton is the way to go. Listen to your favorite performer at the Hampton Ballroom Casino, try your luck in a game of poker at the Casino, and mindlessly wander the boardwalk as you check out the multitude of shops and restaurants. If you’re in the mood for something smaller with more privacy, your ideal beach would be Jenness. With only 67 parking spaces available, it helps keep the business of the beach in check - just make sure you get there early! Jenness Beach is located in close proximity to Summer Sessions Surf Shop, offering you the opportunity to learn how to surf in a secluded and safe area. This beach is the perfect spot for picnicking with friends and family, with plenty of food, ice cream, and drink options surrounding you. Over 3 miles long, Ogunquit Beach provides plenty of room for beach-goers to spread out and unwind for the day. The pristine area allows visitors to enjoy the shallow waters and charming town, providing a slew of activities whenever you’re ready to step away from the water. Enjoy scenic coastal strolls as you walk the Marginal Way, stretching from downtown Ogunquit all the way to Perkins Cove. Or, if you’re interested in hiking, Mount Agamenticus is close by, offering trails ranging from moderate to difficult and helping you burn off all those lobster roll calories! Other activities include the Ogunquit Museum of Art, as well as a wide variety of stores, ice cream shops, restaurants, and more. If you haven’t visited Ogunquit yet, what are you waiting for? For the people who are more interested in lakes than beaches, pack up the car and head to the White Mountains of northern New Hampshire! With a wide range of hiking options, lakes, and picturesque scenery, it’s easy to fall in love. Wondering which highlights to be on the lookout for? While it’d be impossible to name all of them, we’ve hand-picked a few of our favorite spots to check out. As you make your way into Franconia Notch State Park, take exit 34A off I-93, bringing you to the entrance of The Basin. After parking your car (parking is accessible on both sides of the highway) take a short 10-minute stroll to The Basin - a 30-foot-wide and 15-foot deep bowl highlighting water pouring down the face of a variety of granite cliffs. To top it off, The Basin is a dog-friendly area that includes hiking trails, viewing areas, and even places to get your feet wet. As Henry David Thoreau visited The Basin years ago, he wrote that “this pothole is perhaps the most remarkable curiosity of its kind in New England”. With The Basin being directly off the highway, it’s the perfect spot to stop in, stretch after your car-ride, and appreciate the beauty of New Hampshire. 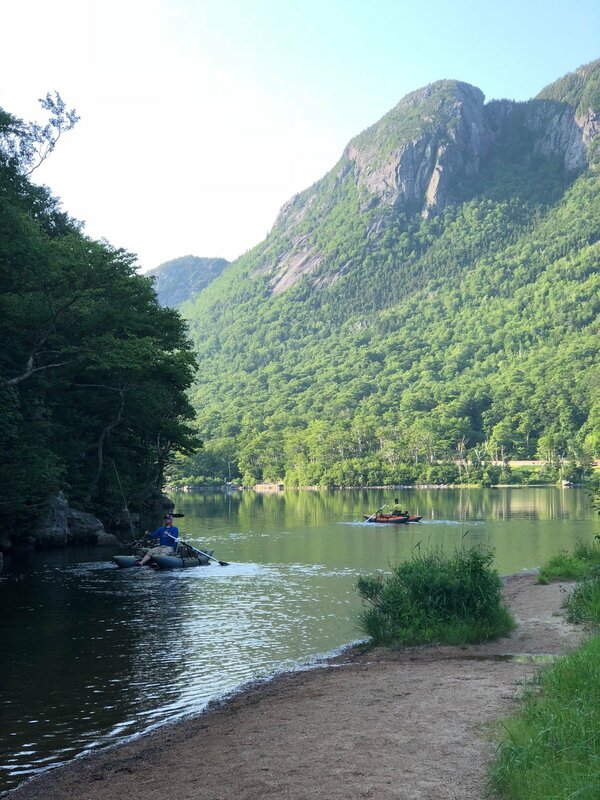 Located just a short drive ahead of The Basin, Echo Lake is a 39-acre lake that provides views of the White Mountains, Cannon Mountain, and views where the Franconia Range and Kingsman Range meet. For a small admission fee, you can enjoy a warm summer day with friends and family while you disconnect from reality. Echo Lake includes canoe, kayak and pedal boat rentals for entertainment, as well as the Lakeside General Store to replenish any necessities you may have forgotten or run out of. For this attraction, make sure to grab your hiking boots! Welch and Dickey Loop is one of the many (hundreds) of available hiking trails for adventure seekers. Beautiful year-round, Welch and Dickey Loop is a 3.9 mile trail located near Thornton, New Hampshire that features wildflowers and views around every corner. Rated as moderate, this loop will get your heart racing as you near your way to Welch Summit and reward yourself with lunch and a cold drink. On average, this hike takes around 4 hours, so be sure to plan accordingly! Located 2 hours north of Franconia, tap into your ultimate relaxation and make your way off the beaten path to Lake Umbagog. One of the most pristine lakes in New Hampshire, it lies in the towns of Errol and Cambridge New Hampshire, as well as Upton and Magalloway Plantation, Maine. Though it may not be one of the most well-known lakes in the area, this truly is one of New Hampshire’s hidden gems. Sleep in one of many cabin rental options, or reserve one of 33 wilderness campsites, (some of which are only accessible by boat) located at various points throughout the lake. One of the quieter lakes in the region, you’ll have plenty of activities to take part in - whether it be fishing, kayaking, swimming, boating, or just relaxing and taking in the view. Even better? The area is abundant with wildlife, including deer, moose, and the occasional black bear. 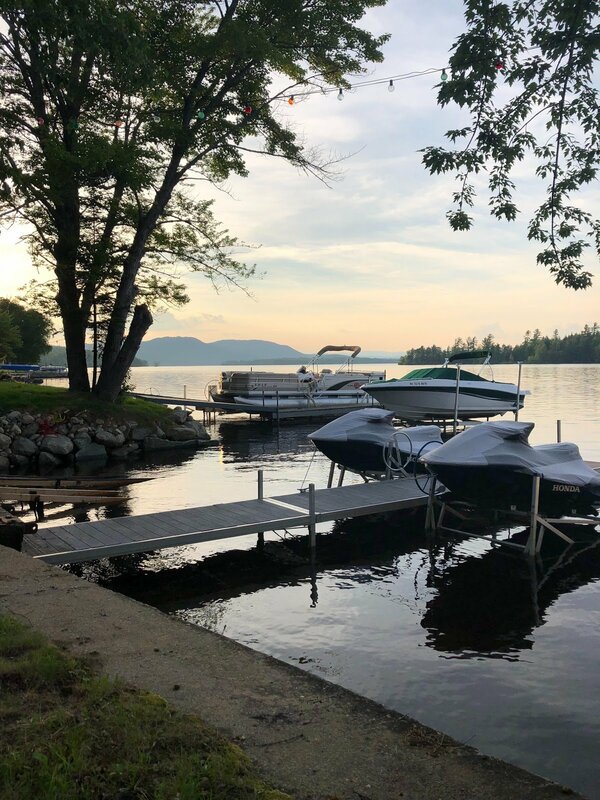 Almost 11 miles long and over 7000 acres, Lake Umbagog is the largest lake to run across the Maine and New Hampshire border, and is sure to win your heart over. Ready to Plan Your Summer Weekends? While the list of summertime activities in New Hampshire and Maine could continue you on for pages, we wanted to give you a cheat sheet for some of the “must-visit” places and attractions. With so much to do and see, it’s easy to see why New England is the place to be. Be sure to print this article out, hang it on your fridge, and begin planning out those weekend trips - we promise you won’t regret it! Looking to buy a home in the area to get closer to all the NH Seacoast has to offer? Get in touch with a Red Post Realty agent today!